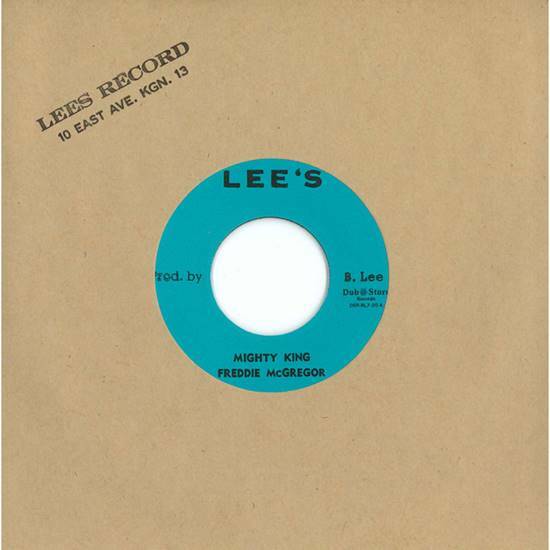 Freddie McGregor - Mighty King / Little Angel (Lee's / Dub Store) 7"
Track Listing / Description Great pairing of two early Freddie McGregor vocals for Striker Lee. Mighty King is more or less the same song that Al Campbell recorded as Rasta Time for Phil Pratt in 1974, Little Angel is a cover of the song Errol Dunkley recorded definitively at around the same time and that, again, Al Campbell recorded for Phil Pratt as When The Grass Is Green. Campbell and McGregor were close back in the early seventies, recording the beautiful and rare Freedom Justice & Equality as Alf & Teep for Coxsone Dodd, so maybe that explains it.